Capture is the leading automotive VIN barcode scaning technology that can be quickly integrated into your company’s mobile application. Capture reliably scans in low light, sun glare, bad weather, other harsh conditions, and it’s easy to integrate into your product. 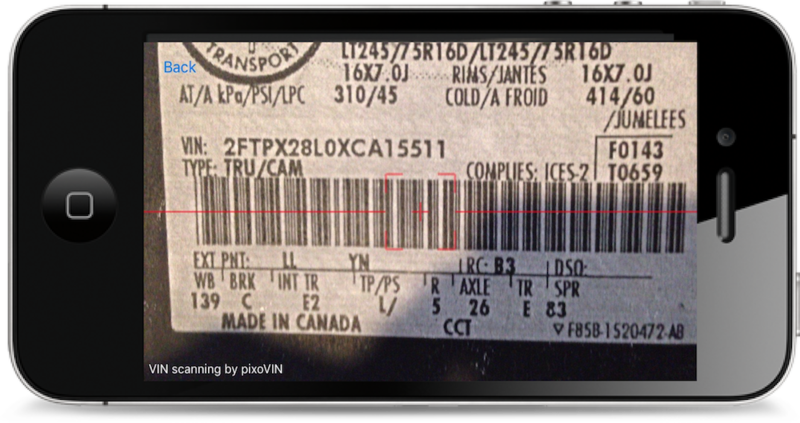 To add VIN scanning into your company’s application, contact us for details and pricing. Or, have your developers follow the instructions below. See the technology in action in the FLEET app. SDK libraries and developer documentation. Request your Free 30-day trial with the code. Our terms are simple. One license is good for the development of one uniquely-identified application (using your bundle/package IDs) on both iOS and Android platforms with an unlimited number of scans and end-users. Each license has an initial license cost and an annual renewal fee. Read through our Frequently Asked Questions to start.